Nowadays, smartphones are everywhere. Increasingly important in the exchange of information among people, and virtually indispensable for personal and work-related activities, these small portable computers will very soon be so powerful that they will be able to run several applications at the same time, like regular computers. With this in mind, MHA Sistemas once again took the lead in technology applied to logistics and has just released the ArMHAzena® WMS version for Android. In this modern version, all operations currently performed via data collector, barcode or RFID readers, can run on any Android phone or tablet. 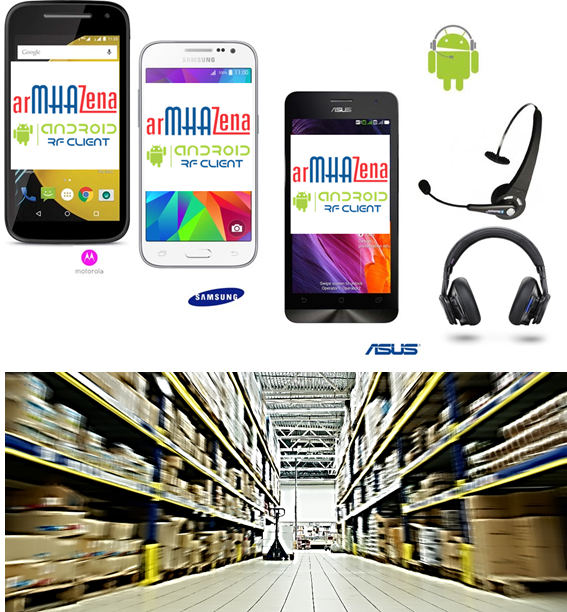 Resulting from the substantial investments made by MHA Sistemas in its WMS for mobile devices, the arMHAzena® Android application runs on any Android platform, on all makes and models of smartphones and tablets, whose camera functions as a barcode scanner, both linear or 2D, two-dimensional, or QR. In addition to the flexibility provided by the use of the Android platform system, the excellent cost-effectiveness of investing in a mobile phone compared to a data collector cannot be overlooked. Although the collectors are physically more robust and durable, the use of smartphones is much less costly. And since almost everyone owns a mobile phone nowadays, it is enough that the company celebrates a partnership with its operators, so that the smartphone advantageously replaces data collectors, thus reducing operational costs. arMHAzena® which was already capable of using smartphones in the control of delivery and collection in the transport module, now applies the same technology to the warehouse, in the processes of reception, storage, handling, verification, inventory, resupply and shipping. If you want to know more about this new logistics technology, contact MHA Sistemas. We will be happy to pay your company a visit.